A poem inspired by a track of the same name by Muse, from their album 'Black Holes And Revelations'. This is dedicated to 'leaders' from all around the globe. 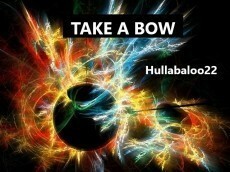 Brilliant Hullabaloo an outstanding piece of poetry. Thanks so much for that, Tuweelz. Glad you enjoyed it. Sound like a great song, Hull, excellent! Thanks, Mike. It just gave me the idea. Fantastic piece, Hully. Well done! Thanks for giving it a read, Kevin. A well written piece! You strike some very true chords with your lines. That first stanza particularly struck me. Ha! Glad you recognized it! Thanks so much for reading. There really are so many 'leaders that I could dedicate this to, not just the obvious candidate. Each year I think things can't go more downhill and yet each year they do. "Welcome To Our F-ed Up Reality, Kids!" Trump It or Dump It!